contact our 24x7 live helpdesk. Wondering why is my mac so slow? Here's a trusted solution! Introducing best free Mac cleaner, an all-in-one utility to improve device performance. Its best cleaning engine is powered by advanced algorithms and trusted hybrid technology which answers your long-standing question as to why is my mac so slow. It helps speed up Mac drastically by getting rid of all performance-sapping issues to extend the life of your device by up to 3 years. Give it a try now to breathe a new life into your old slow system. Its advanced disk clean technology helps you effortlessly manage your startup items and secure erase temporary files to fine-tune your system. Use our hybrid utility to speed up your slow startup by cleaning unwanted login items, incompatible apps, unnecessary startup programs, etc. to ensure your device runs fast, smooth and efficiently. It helps improve system performance by helping you fix issues like system startup disk full, error messages, hangs, freezes, apps or browser not responding, etc., together with helping you clean up hard drive, remove unwanted malware ad suspicious apps, cache files, and more. Advanced startup booster helps you solve the mystery as to why is my mac so slow to revamp your system, optimize login items list, track activity monitor, secure your system and improve overall system performance drastically. Seriously, there will be numerous files on your device that you desperately want to delete, once and for all, due to privacy, security, or whatever reasons. And that's where Mac Optimizer Pro's File Shredder, which is powered by military-grade data shredder and multiple-overwrite technology, plays a pivotal role in ensuring the files you delete -stay deleted - and will never be restored by any existing technology or tool. File Shredder is an integral component of the best free Mac cleaner that helps you manage system preferences and login items list, and secure erase temporary files to speed up your device in case it is running slowly. It helps you free up disk space on your device by removing unnecessary files such as setup and uninstallation logs, cache, cookies, event and browser logs, and much, much more. 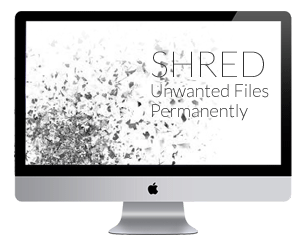 File Shredder's advanced multiple disk overwrite technology ensures your security is never compromised. As a result, you can effortlessly sit back with a hamburger, relax, and wait a while as this comprehensive multitasking software suite takes care of your unique needs and work wonders for your device. Can there be a place from where you can monitor your computer and manage all its utilities? We just made one! This all-in-one suite helps you enjoy all you important device functions and everything you want to do with them. Is your device running slow? Use our rich collections of handy, robust and versatile tools helps speed up Mac, improve device performance, and enjoy maximum performance hassle-free. We have a wide range of tools to increase device speed and improve device performance. Our more utilities section offer a wide range of options to help you configure, monitor and manage all important PC functions from one single spot. It's certainly the best free mac and macbook cleaner you will ever need to free up disk space and enjoy efficient, hassle-free performance for up to 3 years. Our computer runs efficient and when we purchase them; but, over time it tends to slow down considerably and we can sense an obvious performance gap. Moving ahead, we start experience obvious performance issues such as apps and browser not responding, system freezing, crashing and becoming unresponsive every so often, audios and videos taking longer than usual to start playing, frequent system restarts, unresponsive windows, long wait to get started after switching the computer on, and a lot more. Over time, the issues begin to take a toll on us, and grow severe enough to make us feel down and out, like having to buy additional RAM or perhaps a new computer. However, these issues and conditions are completely reversible and your device can certainly pick up pace using this all-in-one utility, saving you from the unnecessary expense of installing additional RAM or even going for a new device. Anytime you realize that your device is underperforming, just quick scan your device with Mac Optimizer Pro to fix the issues detected by the smart scan engine to restore speed and performance of your device. Therefore, if you are among one of those wondering why is my mac so slow, here's your chance to resolve the issues once and for all buy giving this tried, tested and trusted utility a run. It works well on all versions to revamp the performance, stability and privacy of your device. This handy tool has been developed after rigorous research on what works and what not when we are in need to improve device performance and free up disk space. The utilities it provide work perfectly for resolving all efficiency-sapping factors to ensure your system gets back in prime shape and runs as it did on the day you first switched it on, together with making sure all traces and sensitive or unwanted files that can compromise your security and privacy or pose a danger to your financial, professional or personal security are securely deleted once and for all with the world's most powerful military-grade data shredder. Give this powerful utility try to revamp the way your device looks, works and behaves. In case you need any assistance with how to make the most of its advanced features to give a performance boost to your computer, please feel free to connect to our 24x7 free customer support helpdesk through call, chat or email and we'll be more than pleased to resolve your questions and queries to help you clean up Mac. Download this powerful tool today and give it a spin. Should you face any trouble using our product or just need an explanation for why is my mac so slow, you can connect to us at any time through live chat, voice call or shoot us an email. We will respond promptly to resolve all your questions and queries. We present to you the most powerful best free mac and macbook cleaner to help you get rid of all performance-sapping issues, browser clutter, cache, cookies, and more, to leave your device running fast and fluent. Give this robust application a try and, rest assured, it will help you revamp the speed and performance of your device. 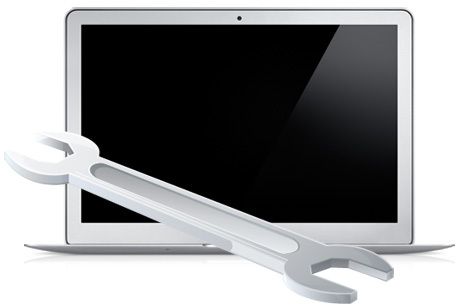 Use this hybrid macbook cleaner to secure the privacy and security of your data along with accelerating startup speed of your device. We are so confident about this tool that we have backed it with a 100% money-back guarantee. In case you face any difficulties while using our product, please drop us a line and one of our representatives will get back to you with 24 hours. Try the best free mac cleaner today to get rid of your concerns relating to why is my mac so slow. Are my personal details secured if I order online? Yes, your credit card information remains completely secured. We use 128-bit SSL Encryption to secure the safety of your data. Also, we only store the last four digits of your credit card number to rule out the possibility of any information theft event. Are there any conflicts between Mac Optimizer Pro and other programs installed on my Mac? No, there are no known conflicts between Mac Optimizer Pro and other applications. Mac Optimizer Pro goes through stringent quality and compatibility testing before its final release to make sure there is no complication with other programs. How do I download and install Mac Optimizer Pro? consult our customer support desk and ask for help. You can dial our toll free no 1-866-598-1214 for dedicated support. Will I get free program updates and upgrades from time to time? notifications to our users regarding available updates through the program interface. How do I uninstall or remove Mac optimizer Pro? How often should I run a scan with Mac Optimizer Pro?